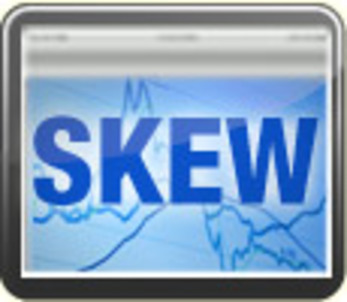 SP500 CBOE SKEW Index: Full Hedge Aboard ? ​Financial assets like the SP500 had a very good performance indeed til August 2015 when the market shifted to a risk off pattern... Usually the market is following the VIX Index in search of risk factor. ​​​​The option market is telling us to expect the market to an atypical return profile since the SKEW is spiking since September 30 and that the 20 and 50 DMAs ( Day Moving Averages ) are heading higher. The 20 DMA on the SKEW ( Red Line on the chart below ) is reaching levels not seen since January 2 2015 and at near levels where we had previous corrections on the SP500. ​( See 1rst chart below - Yellow Horizontal Line and Ellipses ). That tells me that the participants are hedging full throttle by addind some protective options plays with the SP500 at that level.​ That is not surprising because of the high uncertainties associated with international risks now ( Emerging Markets, China, ...) Previous peaks in the Mighty SP500 have been associated with higher level of SKEW - some protection needed. ​​There is more Volatility being priced from the Market compare the to the outlier events probability of the previous severe correction of October 2014 and the huge VIX spike of August 2011.